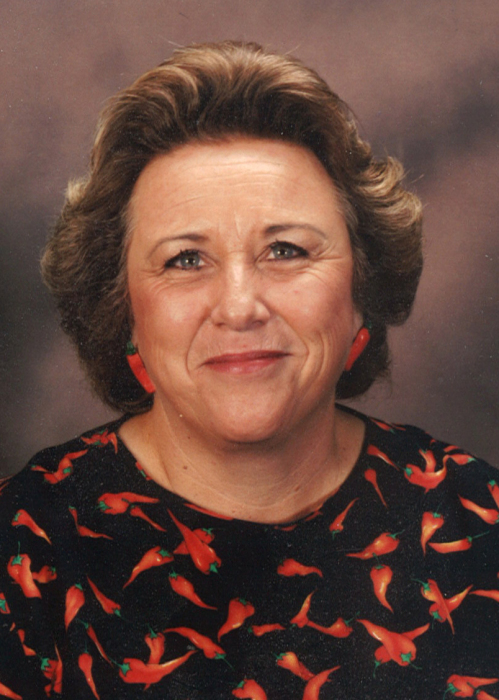 Connie “Miss Connie” McNutt, age 67, of Coleman, died Wednesday, January 23, 2019 at Hendrick Hospice Care in Abilene. A celebration of her life will be held at 2:00 p.m. Monday, January 28, 2019 at Stevens Funeral Home Chapel, 400 W. Pecan Street in Coleman. Reverend Tom Merryman will officiate the service. She was born Connie Evelyn Marie Jacques on December 28, 1951 in Richmond, California to Ernest Jacques and Bettie Garlington Jacques. Connie grew up in Dolores, Colorado and graduated from Dolores High School. She married Jim McNutt on June 10, 1974 in Cortez, Colorado. Together they have lived in Arizona, Colorado, New Mexico, Oklahoma, before coming back to Coleman in 1989. Connie was a cowgirl at heart. Connie worked alongside her husband on ranches and feed lots, and love the cowboy way of life. She loved riding her horses, being outdoors, and doing anything that a cowgirl could do. Connie took pride and joy in taking care of her family, which included being a 4-H mom and rodeo mom. She loved to cook and would never let anyone go away hungry. Connie owned and operated the Little Cowpokes Day Care in Coleman. She loved all of the children that came into her care, keeping each one close to her heart. Connie was a member of the Sacred Heart Catholic Church. She will be deeply missed, but leaves an amazing legacy with her family, friends and all of those she cared for. Connie is preceded in death by her parents, Ernest and Bettie Jacques. She is survived by her husband, Jim McNutt of Coleman; daughter Jamie McNutt Erwin and husband Bryan of Fort Worth; son Jimmy Jake McNutt and wife Elizabeth of Victoria; grandchildren McKenzie Ann McNutt, Cade Christopher Erwin; sisters Judy Woltemath and husband Jeff of Idaho, Kathy Randolph and husband Jack of Colorado, Shirley Randolph and husband Rick of Colorado; and a host of nieces, nephews, and all the Little Cowpokes she cared for. Visitation for family and friends will be held on Sunday, January 27, 2019 from 5:00 p.m. to 7:00 p.m. at Stevens Funeral Home. A rosary will follow the visitation starting at 7:00 p.m. at Stevens Funeral Home Chapel.